In 1997, MB Properties retained Reitz & Jens to provide all geotechnical engineering and construction quality control services required for the development of the Fountain Lakes Commerce Center. 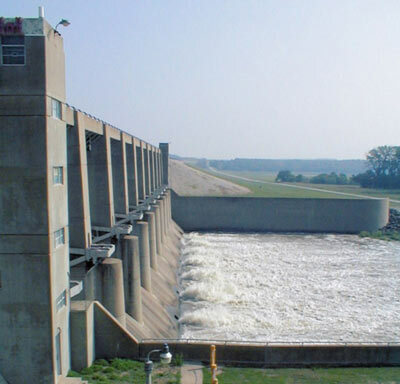 The 540 acre development is in the 100-year floodplain of the Mississippi River, and was raised out of the 500-year floodplain by adding up to 15-feet of fill from on- and off-site sources. The on-site borrow pits were used to create lakes with depths up to 20-feet below existing ground surface and 10-feet below the permanent groundwater table. RJ responsibilities included geotechnical investigations and recommendations for the planning, design and construction team to address the many difficult geotechnical parameters that affected this development. This included the presence of wet, high plastic clays; long-term consolidation of the natural soil deposits caused by fill placement; the effect of mixing waste lime sludge into the mass fills; and constructability and long-term operational issues associated with excavating lakes up to 10 feet below the permanent groundwater table. 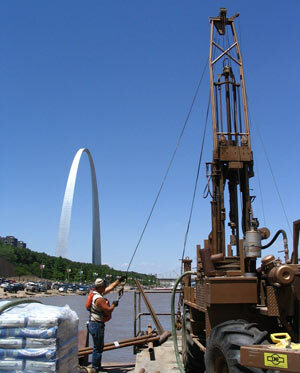 The high plastic clays were the most difficult geotechnical aspect of this site. The developer wanted to use as much of the high plastic clay as possible in the general fills without using lime stabilization or other treatment. Reitz & Jens developed a plan that included using the untreated high plastic clays as deeper fills, with the last 5 feet of fill being imported low plastic material. Even with this design, the high plastic materials were extremely difficult to compact since their moisture content first had to be lowered by air-drying. Our experienced field technicians and geotechnical engineers made frequent judgment calls during fill placement to resolve specific construction issues while maintaining the quality of the constructed fills. All of the controlled high plastic clay fills were placed by early 2002. The low plastic fills were imported and placed as individual lots were developed. Reitz & Jens also completed all floodplain studies, and obtained both City of St. Charles and FEMA approval for raising the site out of the floodplain via a Conditional Letter of Map Revision (CLOMR). The firm also provided all floodplain studies, design and permitting services required to relocate approximately 5000 linear feet of Cole Creek. 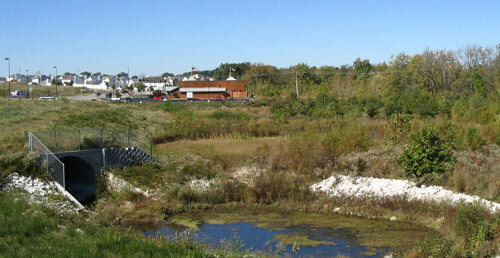 The creek relocation required the City and FEMA approve via the CLOMR, as well as a 404/401 permits from the St. Louis District Corps of Engineers and the Missouri Department of Natural Resources. To obtain these permits, the relocated creek channel had to be designed to create a natural creek with riffles, pools, bio-stabilized slopes, wetland dwell areas and naturally vegetated riparian areas.